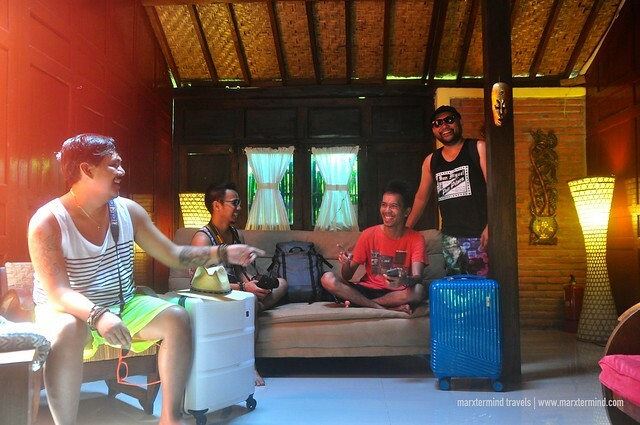 A villa for four, it was our homey accommodation at Omah Gili Resort when our group visited Gili Air for a night. Entering the premises of Omah Gili Resort instantly made me feel the natural ambiance and peacefulness that the resort has. I was delighted of how tranquil this place was. It was fitting that we would be staying here for our first day in Gili Islands. We were exhausted from our almost one-day travel from Manila to Bali to Gili Air, and the serenity of the resort suited to provide us a relaxing first day of our vacation. 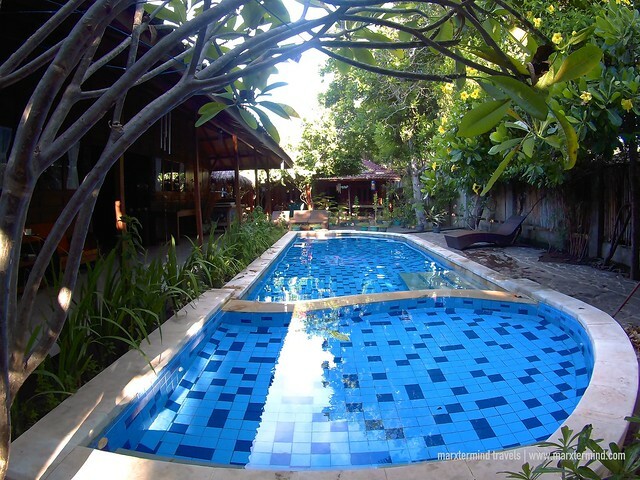 Omah Gili Resort is a hidden tropical paradise that is just few minutes walk away from the beach. 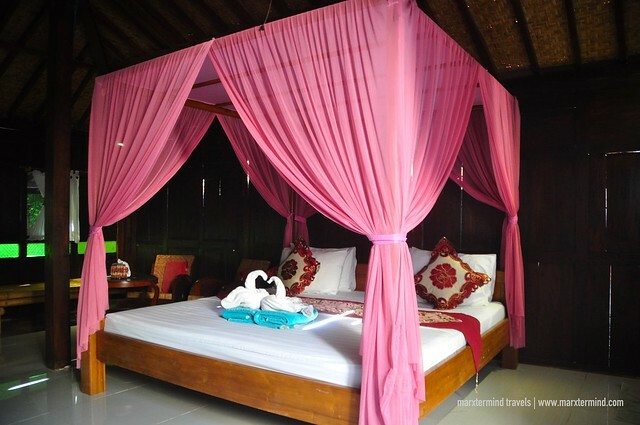 It is a resort located in the middle of Gili Air offering accommodations designed for comfort and relaxation. The place is decorated with a lot of well-maintained tropical trees giving laid-back and green surrounding. Making Omah Gili Resort as our base in Gili Air was the nicest thing to begin our vacation. The time that we’ve entered the resort, we already felt like it was home. We were delighted with the surrounding and traditional accommodations. The resort certainly gave us a comfortable stay that we needed. All rooms at the resort are Lumbung and Joglo style made from durable wood with traditional thatched roofs, combined with modern western comforts. 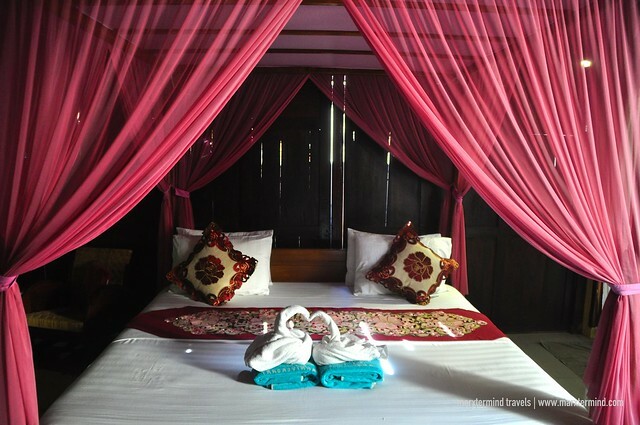 Each room has comfortable beds and custom made wood ornaments. 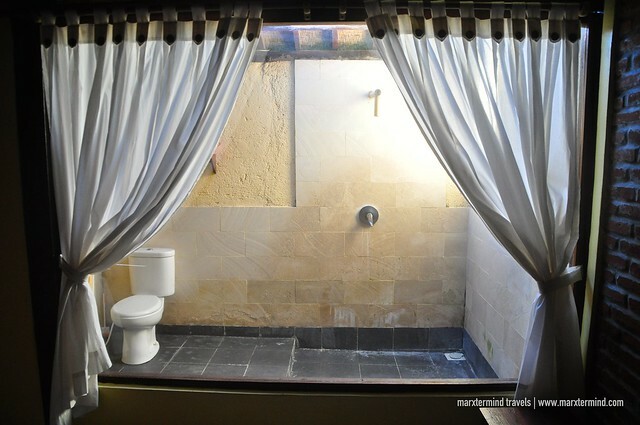 Each room has an open-air bathroom that has a tasteful natural style, using custom-made bamboo shower, western toilet and clean towels. We stayed at Limas Villa. Check discounted room rates and availability here. It is a villa with two bedrooms that fits four persons. The villa was clean and tidy with traditional ambience. It was big with a lounge area in between two bedrooms. There’s also a sofa bed. A gallon of water for each room was also provided. Our room essentially has everything that we needed to enjoy our stay. I really felt cozy and homey with our room. A part of the resort that I also like was the pool area. The resort has a small pool with trees and lush green surrounding it. Spending few hours by the pool actually looked soothing because the place was really serene, which we actually did the next day before we checked out. Apart from the natural ambiance that the resort has, the resort also offers some other amenities for guests to have an even more enjoyable stay. The resort provides free simple breakfast for all guests. Wi-Fi access is also complimentary. But Wi-Fi can be slow sometimes. But connection was faster when in the lobby area. If you also need assistance, the friendly staff will also be glad to help you. Omah Gili Resort was our home in Gili Air. It was home because the place provided us a soothing and homey stay when we were in the island. The resort let us have an enjoyable vacation to start our Indonesia trip. 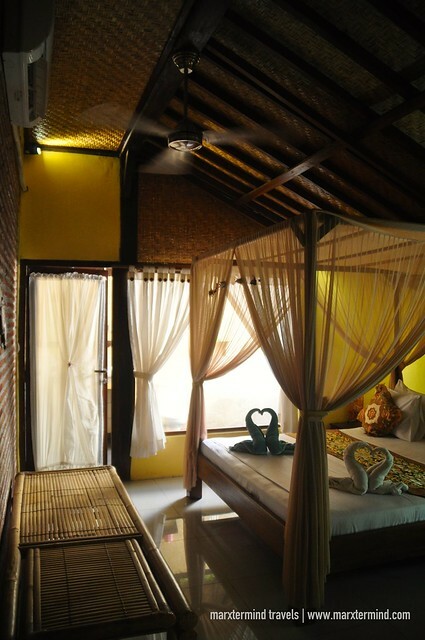 This resort is indeed a great place for vacationers looking for a relaxing island leisure getaway when in Gili Islands. Disclosure: Omah Gili Resort hosted our stay for the purpose of reviewing the resort. All notes and opinions are my own. Previous story Kawasan Canyoneering is the Best Adventure in Cebu!